Simon Says Stamp and Show: Simon Says Stamp and Show a Kaleidoscope of Colour! 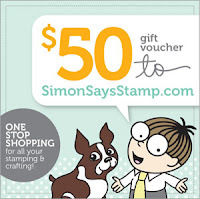 Simon Says Stamp and Show a Kaleidoscope of Colour! A trio of Winged Things was the starting point for Tracy's kaleidoscope of colour pieces aptly added to vibrant backgrounds created with Faber Castell Gelatos combined with embossed backgrounds. Those vibrant colours were created from Red Yellow Gelatos with the aid of clear embossed backgrounds and a little help from Metallic Pitt Pens and gold Metallic Pencil. Ellen did some sketching this week, using Faber-Castell PITT pens (waterproof and archival) for the sketching, and adding color and shading with Faber-Castell gelatos and Aquarelles watercolor pencils. Both products blend beautifully with Ranger's new detail water brush, using a craft sheet as a palette. Candy really took the Kaleidoscope of Color theme literally this week. Her bright colors are courtesy of Dyan Reaveley's amazing Dylusions Sprays. All of the detail work on the butterfly's body and Tim Holtz' version of the Mona Lisa was done with her Faber Castell Gelatos, Aquarrelles Watercolor Pencils and Mixed Media Sampler pencils and Pitt Pen. 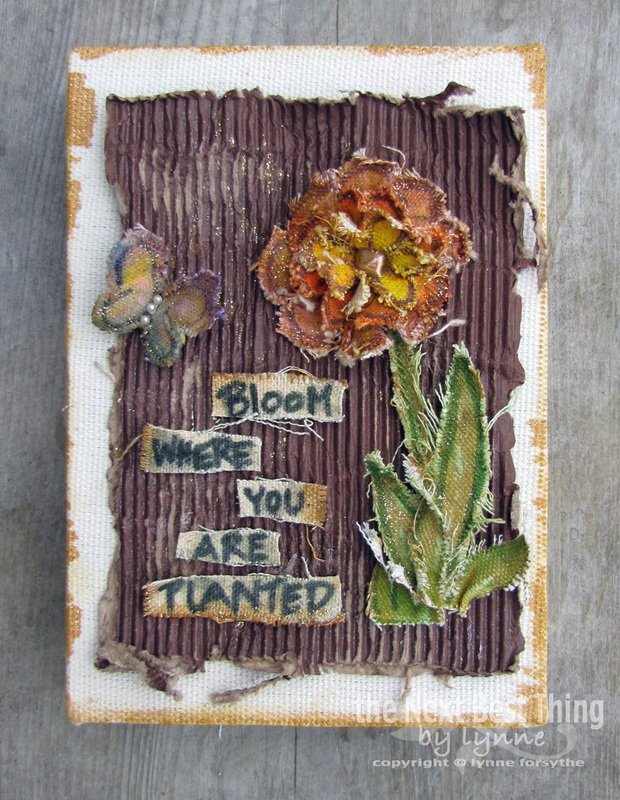 Sarah created a colourful mixed media canvas inspired by nature. Her funky flowers were coloured with Faber Castell Gelatos and Aquarelle Watercolor Pencils. 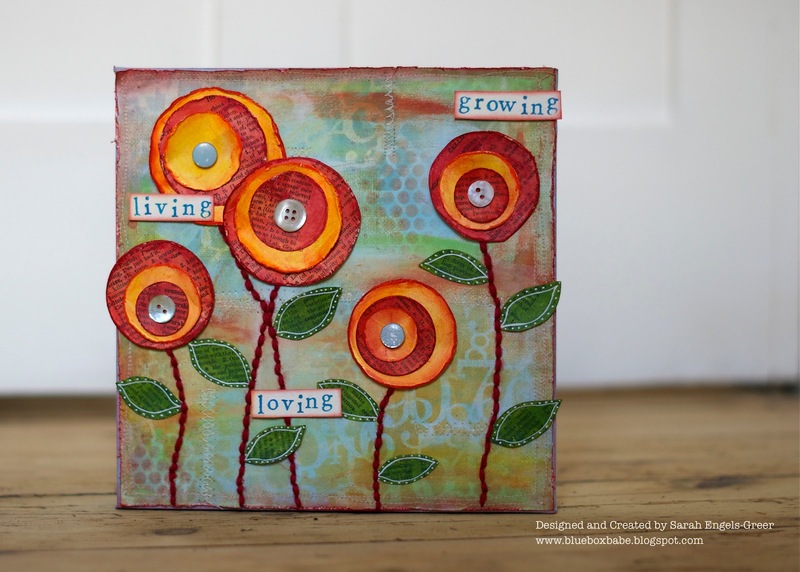 She used a Stampers Big Brush Pen to draw and colour her leaves, Claudine Hellmuth Studio paints to create her background and finished off with machine and hand-stitching. Lynne began this weeks challenge by running a Gold Gelato around the edge of a Canvas Corp Canvas and then brushed on Carmel Glitter Glam. She then stamped with Jet Black Archival Ink, a flower 3 times on a piece of canvas and colored the images with the Yellow, Pink, Gold and Red Gelatos and spritzed with water. Using a Green Big Brush Pen, she drew the stem and leaves on more canvas and used Green and Gold Gelatos to color in. A little something from The Tim, a little something from The Wendy and lots of Terry are all in the altered cover of her photo-album. As promised Terry made a little something for her colleague's sister. 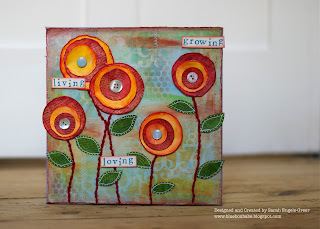 She used the stamp set from The Wendy Vecchi, worked with Gelatos on the Tulips placing a Rosette on top. The Butterflies are by The Tim Holtz and on top yes, Gelatos, with a bit of crackle rock candy, which she could not resist. Dan's "fly south for the winter" card was started by applying Faber-Castell gelatos direct to card and then blending them with water. 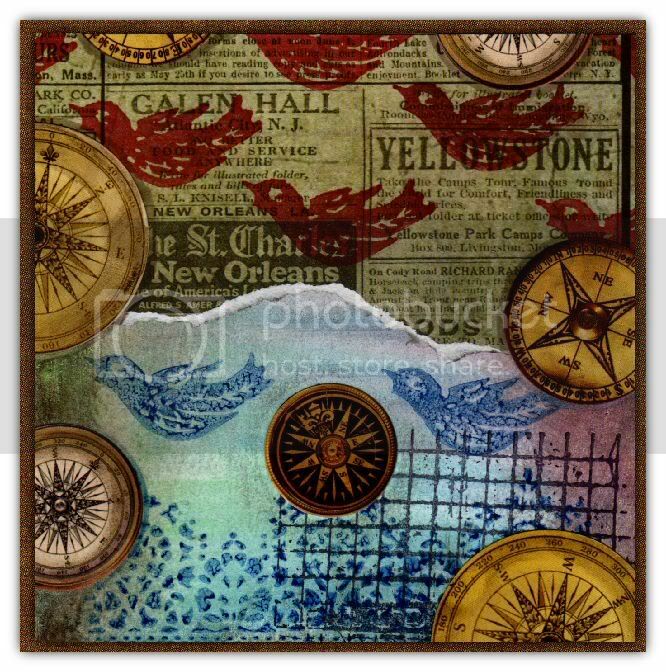 The torn strip is from the Destinations paper stack and he used the Floral Tattoo stamp set and Big Brush Stampers Pens in red and blue for the birds and floral border. Finally, compasses from the Salvage Stickers pad were antiqued with Chocolate Gelato and fixed in place. The Faber-Castell Gelatos are so easy to use I decided to keep my project quite simple this week! I used the Yellow and Neutral Mix and Match sets to colour my mini canvas. The flowers are Tim Holtz Tattered Florals; the letters are Alpha Parts and all the stamps are from the Wendy Vecchi Studio 490 Botanical Art plate. The prize will go to a random entry chosen by Random Generator. The challenge will close at Midnight Eastern time on Sunday, 6th May 2012 and the winner will be announced during the following week. To qualify all you need to do is create a new piece of work ... post it on your blog ... with a link to this site and then pop a link below so everyone can come see what you made! Absolutely glorious examples and a fabulous challenge! The DT did a great job! Thank you for the inspiration! Lovely Challenge. Thank you so much. The design team did an awesome job on their projects and cards! So well done ladies! Gorgeous work, I can tell time and love went into those creations! Thanks for the challenge! Fabulous eye-candy from the Designers! Thank you for a fun ... and colorful! ... challenge! What a variety of inspiration from the DT members! Thanks for the challenge. Lovely DT samples. Hope I'm going to get this one done just in time!! Will then have time to hop and look at others work.